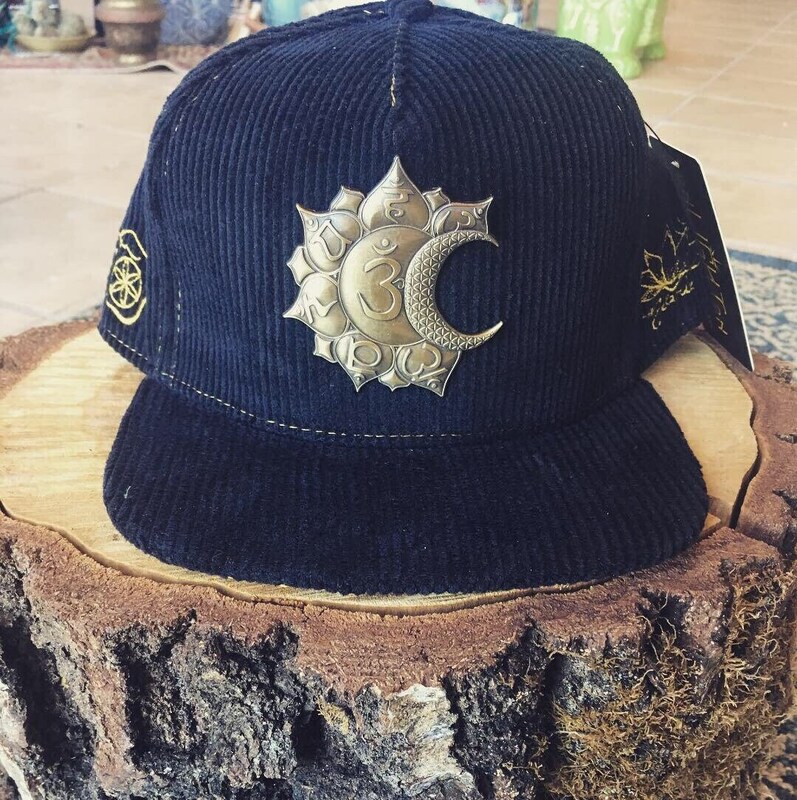 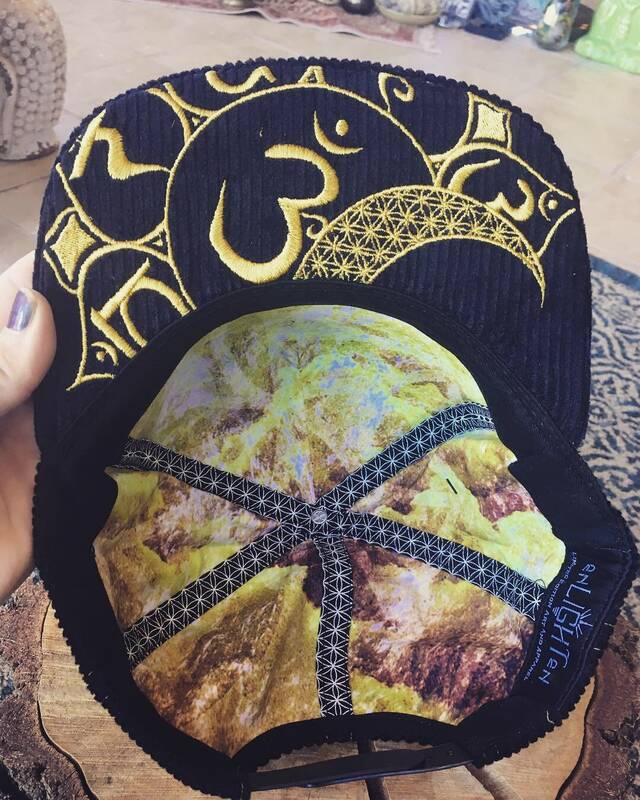 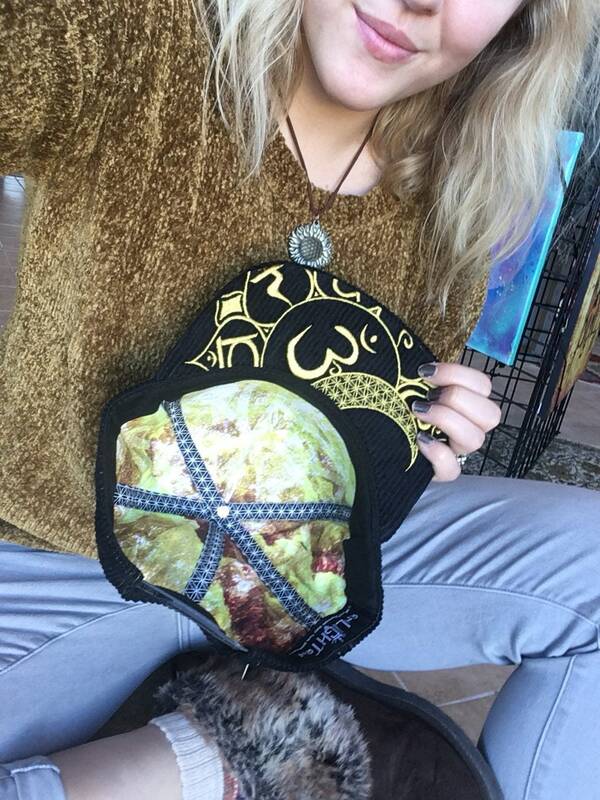 Sun and Moon Chakras Hat, Art by Melanie Anne Bodnar. 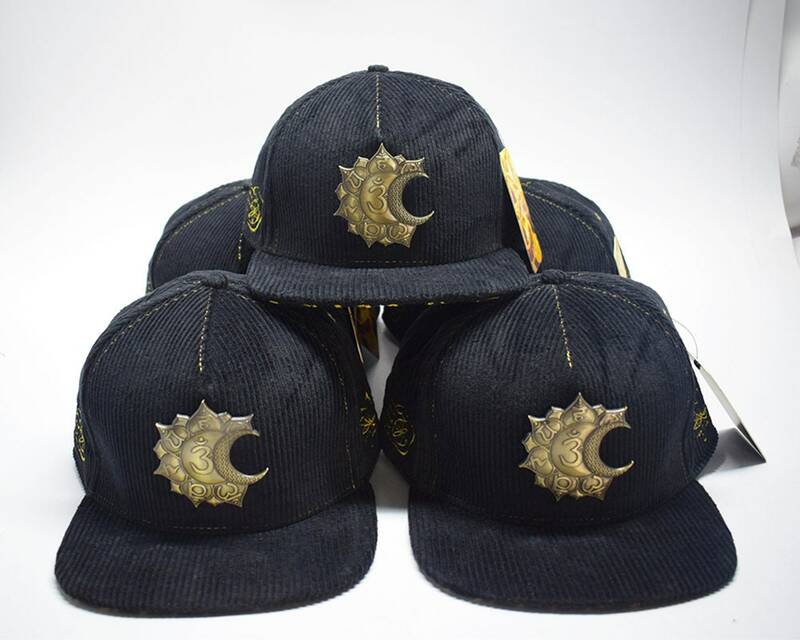 This is a limited edition release for our third hat only 200 pieces made. 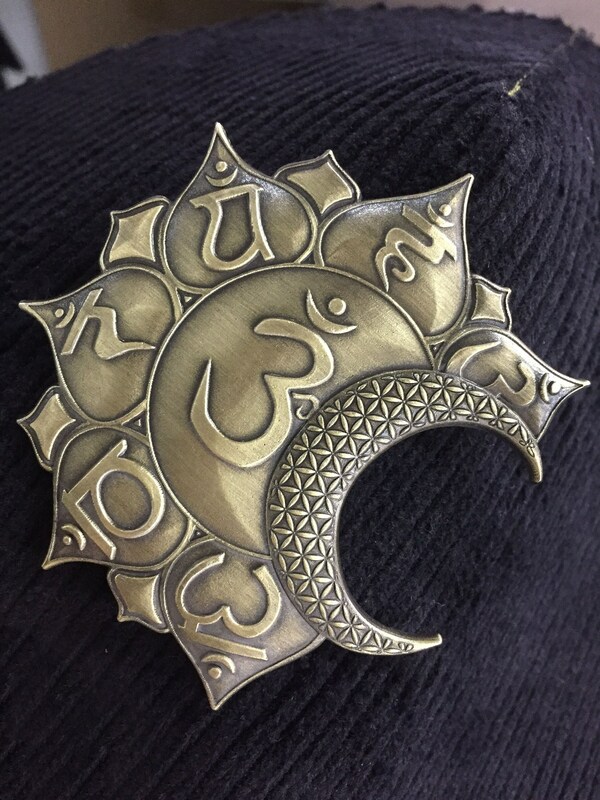 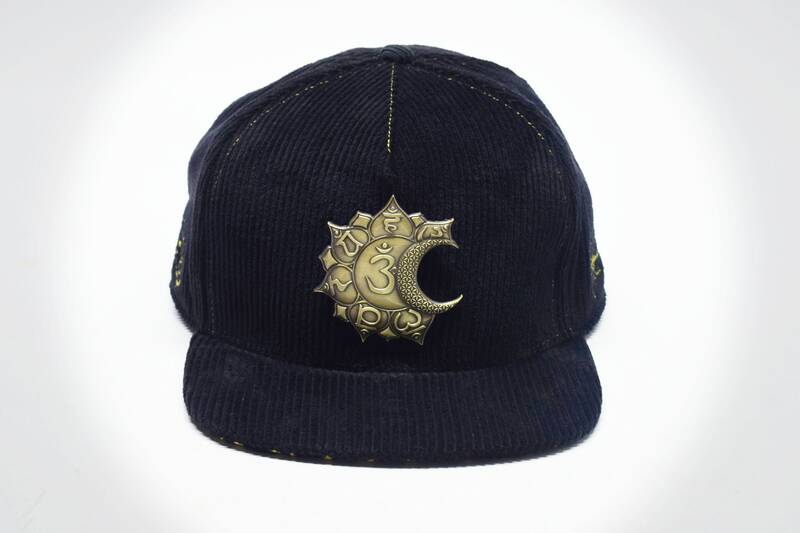 This piece is made of black corderoy and adorned with gold embroidery and a 3 inch antique gold colored metal patch featuring the chakras symbols laying whither the petals of a lotus overplayed with a crescent moon. 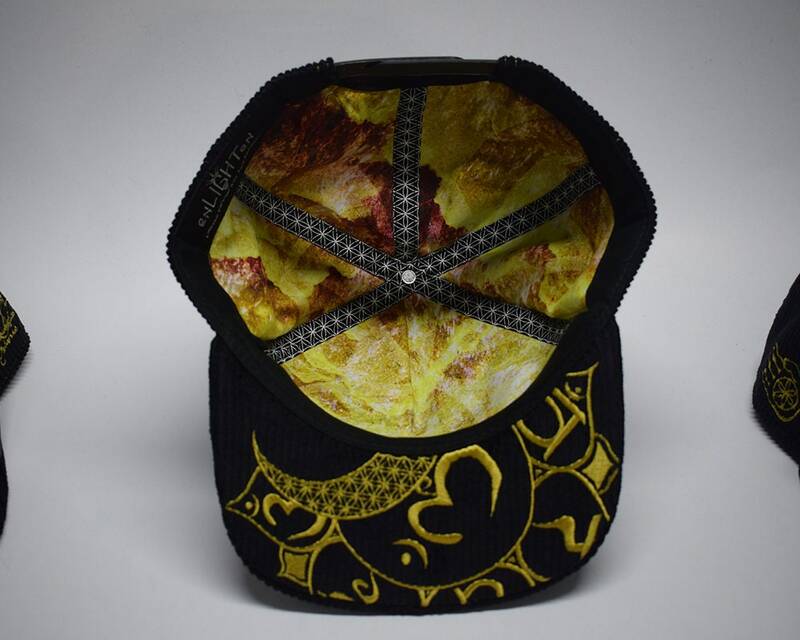 Printed on the inside and includes a secret stash spot not yet seen in our hats. 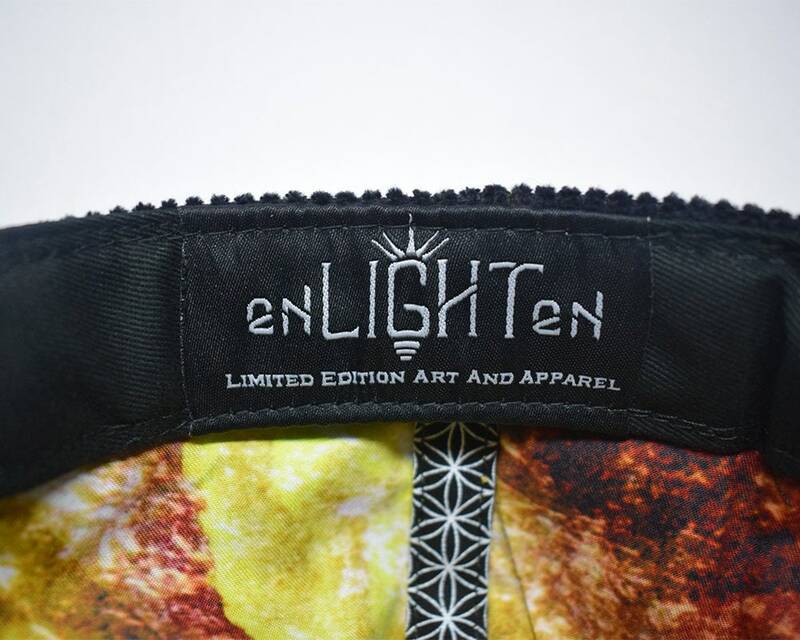 Fully customized top of the line limited edition art and apparel by the Artists at Enlighten! 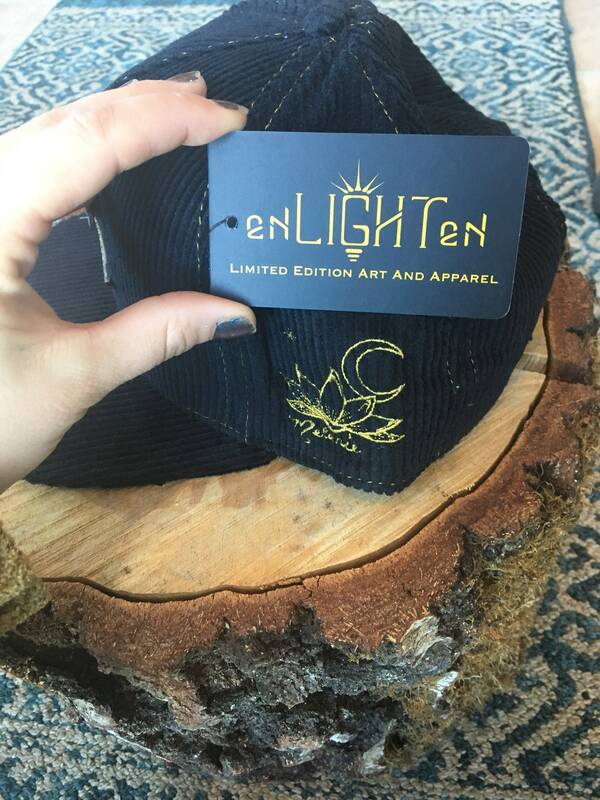 15 trees planted with every purchase! 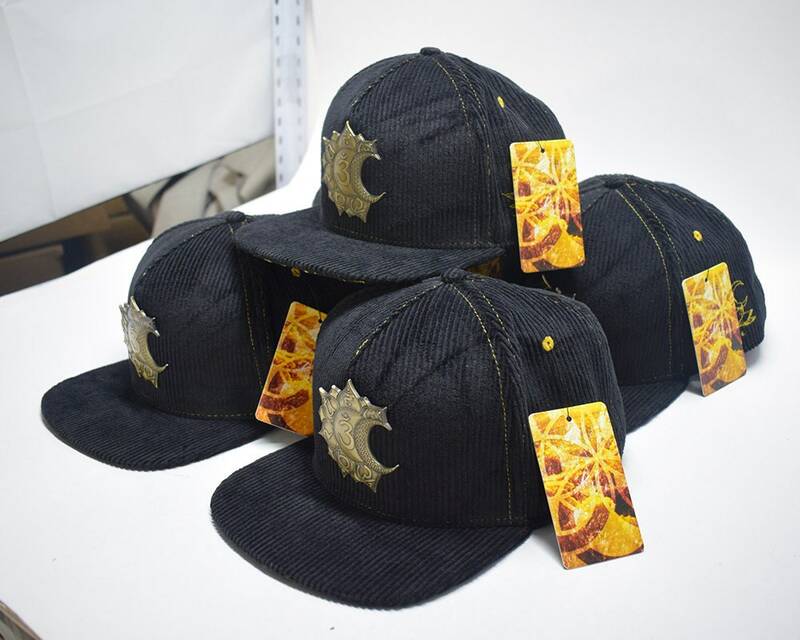 Two sizes of snap backs to choose from 58cm and 62cm.